Confluencias es un ciclo de actividades que pretende invitar a investigadores y profesores de diversas áreas a reflexionar sobre los temas que plantean las exposiciones del Museo Universidad de Navarra. Su primera convocatoria tiene por tema “Arte, ciencia e inmortalidad”, y tiene como punto de partida la exposición Aurelia Immortalis de Javier Viver, y los múltiples asuntos de los que trata: la belleza de las imágenes científicas, la búsqueda de la inmortalidad a través del arte y la ciencia, o los problemas éticos y antropológicos que plantean los nuevos retos de la biotecnología aplicada al ser humano. En formato de diálogo, esta sesión reúne a profesores relacionados con la filosofía, la literatura y la medicina para pensar de modo interdisciplinar la última obra de un artista contemporáneo. Javier Viver, artista y autor del proyecto Aurelia Immortal. This project by Javier Viver focuses on a peculiar creature: Aurelia aurita, a type of jellyfish that has the capacity to regenerate itself indefinitely. Viver attempts to document the life cycle of this species in photos, guided by a scientific and metaphysical interest in a phenomenon found in nature that triggers a reflection on the possibility of immortality. 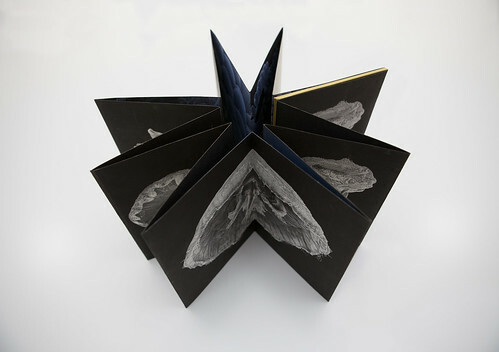 The exhibition includes a series of photographs created by the artist, as well as a photobook he designed. Javier Viver was born in Madrid in 1971. He is a sculptor, photographer, designer and photobook editor. He earned a PhD in Fine Arts from the Universidad Complutense de Madrid with the dissertation Laboratorio Val del Omar (2008), released the same year by Cameo in documentary format. His work is torn between creating images and destroying them as a means of revealing the invisible. His work ESpHeM (2001), a fictitious ephemeral-architecture company, contemplates the use of packaging systems to inhabit the world. It was shown worldwide at Museo Reina Sofia in Madrid, Queens Museum of Arts in New York, Recoleta in Buenos Aires and the National Gallery of Modern Art in Rome, among others. Viver recently published the photobook Révélations (2015) through the publishing house RM. It won the Spanish Ministry of Culture’s prize for the best art book of the year. 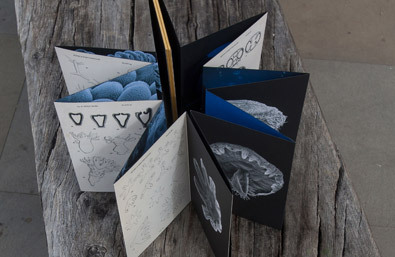 The photobook is composed of two sheathed volumes: a leporello which describes the life cycle of the jellyfish, in which the magnetized covers are joined in an endless cycle and a daily diary written in 2046, in memory of what happened with the images of the future. Aurelia Immortal has been produced by the Museo Universidad de Navarra. It is Viver's second photobook, his first photobook Révélations, published in 2016, won the best edited book of the year prize given by the Spanish Ministry of Education and Culture.